Aristolochia Extract, Bees Wax, Honey extract. Treatment for the diabetic wounds, ulcers and infected wounds on diabetic patients. Clinical results show that the ointment reduces inflation and accelerates the natural process of healing and prevents diabetic wound infection. Clinical results indicate that Aristolochia ointment reduces inflammation and accelerates the normal course of recovery and prevents diabetic wound infection. The effective ingredients in this ointment including Naphthoquinone compounds such as Alkanin, and phenolic compounds such as flavonoids are derived from antifungal, antibacterial, and anti-inflammatory agents. 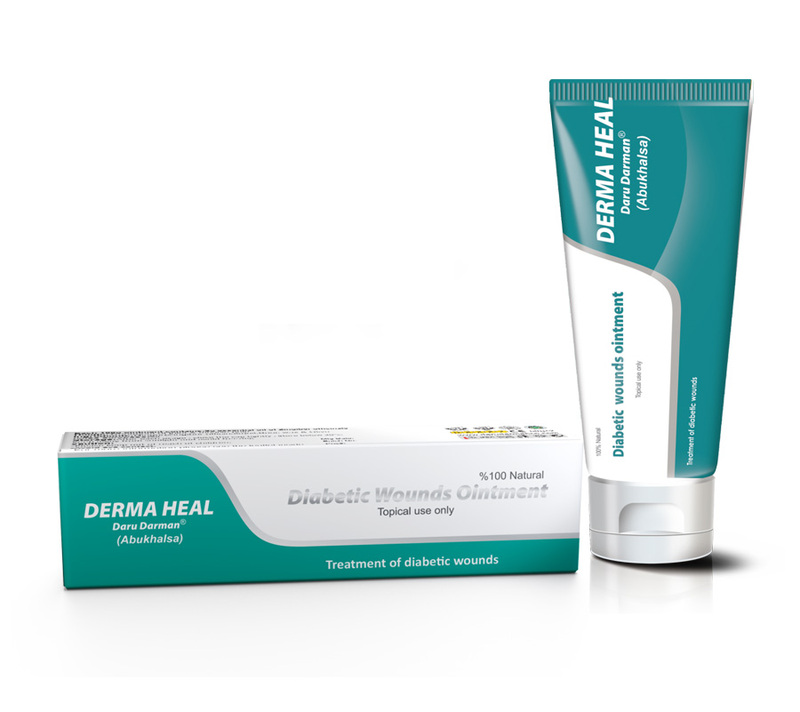 Antioxidants in the ointment cause free radicals to disappear, and play an important role in wound healing, preventing diabetic wound infections. The presence of honey wax in this element has a multifaceted effect on the healing of diabetic wounds. √ Consult with your physician in case of any allergic reaction occurs. √ Secretions from the wound during treatment with the ointment are a sign of healing process and is not a concern. √ Controlling blood Glucose of the patient regarding to the physician prescription and recommendations is very important to shorten the healing process. √ Always test the ointment on small skin area before applying on the affected area for irritation/rash/allergy. Seek doctor advice if irritation/rash/allergy occurs. Simultaneous application on other topical compounds, particularly Contortionists and the existence of any known skin allergies. Ointment application during the pregnancy and lactation periods is permitted. Initial cleaning of the wound location with normal saline serum is advised. Cover the wound with enough ointment. Open the dressing after 48 hours and repeat the above-mentioned processes. Continue this process every 48 hours until the wound is completely healed.  Suitable in room temperature.  Keep away from direct sunlight and avoid freezing.  Once open, store in cool and dry place.  Best Kept in refrigerator. Each Box contains a tube of 80 grams and an insert brochure.